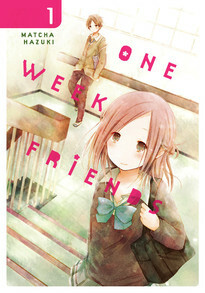 Yuuki Hase desperately wants to be friends with Kaori Fujimiya, the girl in class who seems to always be alone. Just when he thinks they've hit it off, she tells him her secret: Every week, her memories reset. Yuuki resolves to befriend her as many times as it takes, but is he prepared for how much it will hurt to be one-week friends...?